Burst pipes, overflowing toilets, flooding rains, washing machine leaks...the list of water damage causes goes on and on! No matter what the cause is, SERVPRO of Kenton County can handle the water damage restoration process! Our technicians are highly trained and ready to restore your Covington, Kentucky property! A leaking refrigerator caused a water damage mess at this home in Alexandria, Kentucky. After receiving the call, the SERVPRO of Kenton County water technicians responded to the site to assess the damage and begin the restoration process! 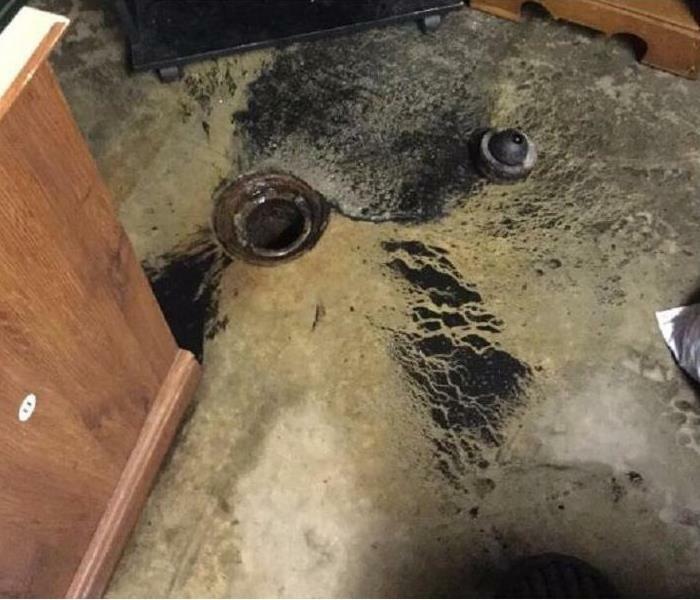 A drain back up caused water damage at this property in Covington, Kentucky and SERVPRO of Kenton County was called for help! Our technicians responded quickly to the site, assessed the damage and began the restoration process. 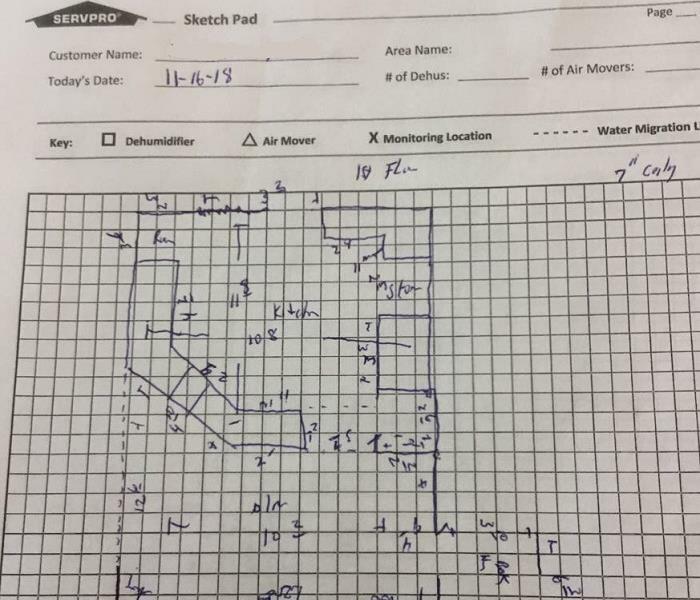 A sprinkler system malfunctioned at a commercial property in Florence, Kentucky and SERVPRO of Kenton County was called for restoration services. 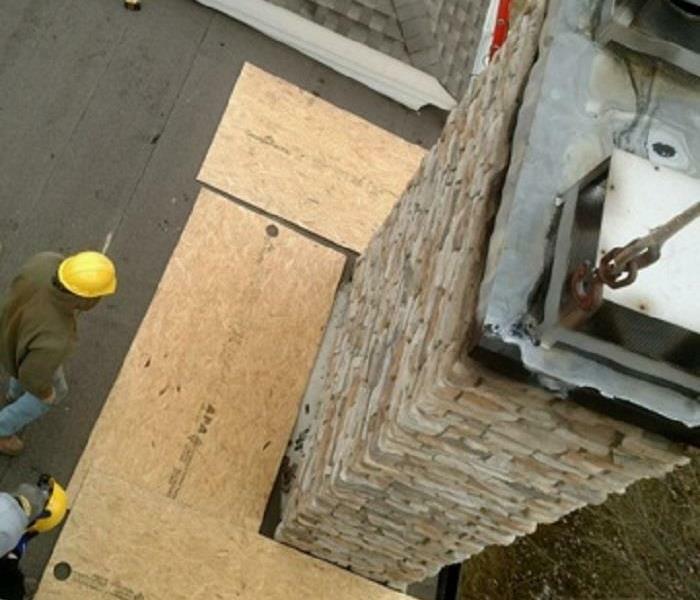 Our technicians understand that the restoration of commercial properties presents unique challenges. We respond quickly to get businesses back to business as quickly as possible after disaster strikes. 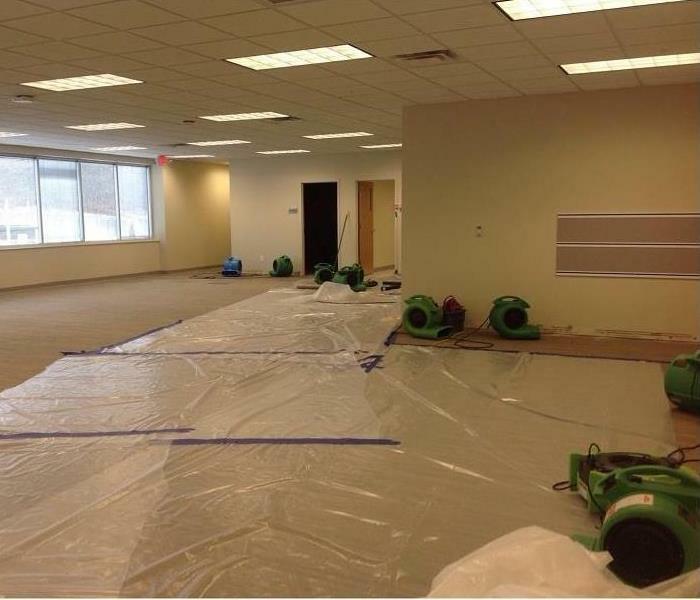 SERVPRO of Kenton County has the training and resources to handle a water damage situation of any size. 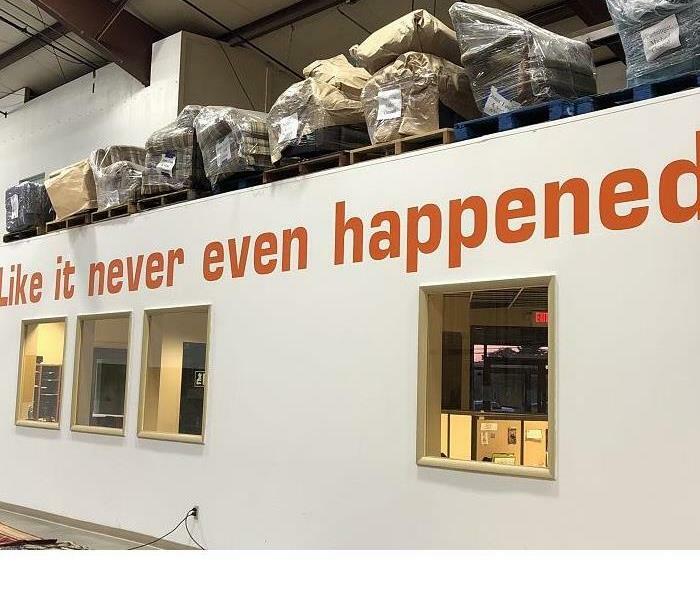 From small homes, to apartment complexes, to smaller retail stores, to large warehouses, we respond quickly to complete the restoration process and make it "Like it never even happened." When a home is damaged by a fire, it is not just the immediate area of the fire that is affected. The smoke can travel throughout the home leaving soot and strong odors behind. The SERVPRO of Kenton County fire technicians are experts in fire cleanup and restoration and can help get a property and its contents back to preloss condition. In the cold winter months, frozen and burst pipes are often the culprit when it comes to water damage. The owner of this Covington, Kentucky home called SERVPRO of Kenton County after a pipe in the ceiling broke. Our technicians responded quickly to the site and provided great restoration service to return the property to preloss condition. 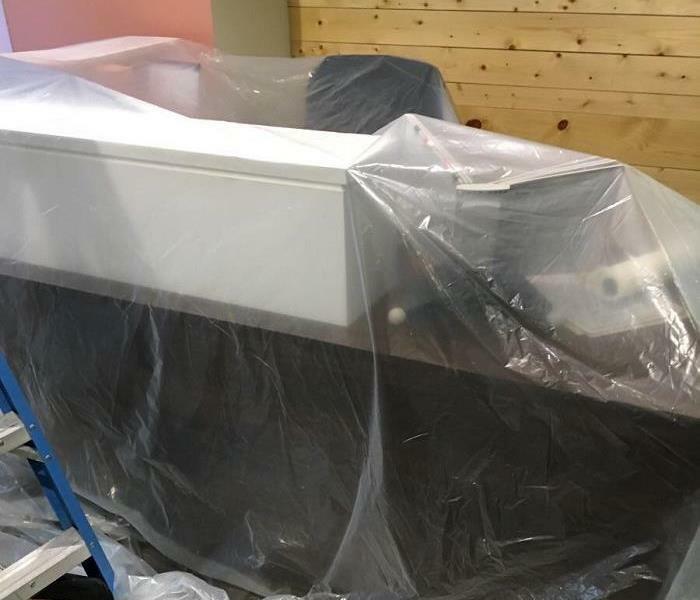 A leaking washing machine was the culprit for water damage in a home in Covington, Kentucky. The homeowners contacted SERVPRO of Kenton County and our technicians responded quickly. In this case, the hardwood floors were damaged so our technicians put in place our hardwood mat system. This system pulls the moisture from the hardwood floors, getting them back to preloss condition. When the SERVPRO of Kenton County water technicians arrive onsite of a water damage situation, the first thing they do is assess the damage and determine a course of action. Once their plan is mapped, industrial strength air movers and dehumidifiers are placed strategically for most effective drying. Heavy storms with excessive rains caused flooding and water damage at this home in Fort Mitchell, Kentucky. The SERVPRO of Kenton County water technicians responded quickly to begin the water restoration process. The carpet was saturated and industrial strength air movers and dehumidifiers were set up in the affected areas to help complete the dryout process. 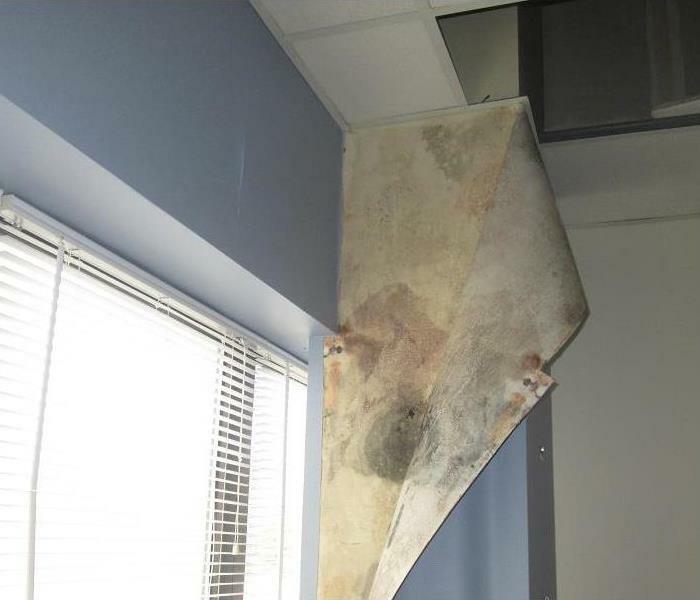 The sprinkler system at this commercial property in Northern Kentucky malfunctioned and caused water damage throughout the building. Commercial property damage presents unique challenges and SERVPRO of Kenton County understands this and responds quickly to get commercial properties back to preloss condition as soon as possible. Our SERVPRO of Kenton County cleaning crews are experts in cleaning and restoration and can provide professional cleaning services. Fire damage, water damage, hoarding issues, or regular residential and commercial cleaning...our professional crews can handle it all! SERVPRO of Kenton County was called for water restoration services in Erlanger, Kentucky after a sprinkler system failed in a commercial building. The water technicians responded quickly to perform services and get the business back in business as quickly as possible! 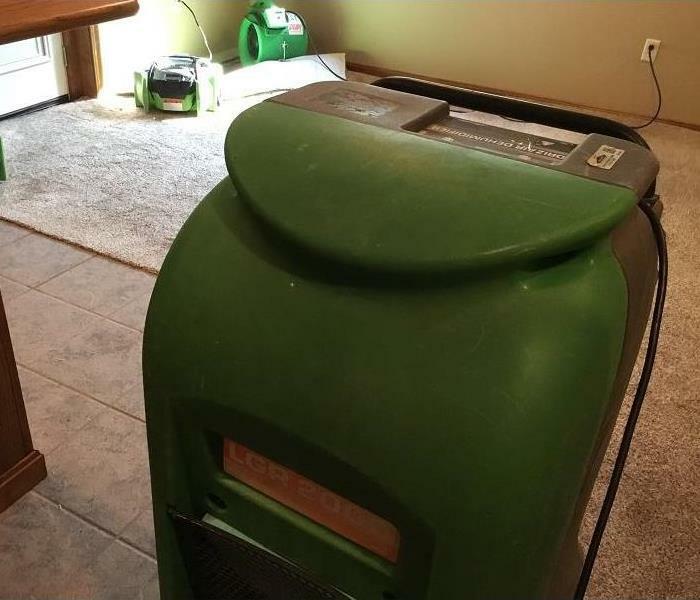 The SERVPRO of Kenton County water technicians have the air movers and dehumidifiers set up after a malfunctioning hot water heater caused water damage at this home in Fort Wright, Kentucky. We have the experience and resources to handle any size water emergency! 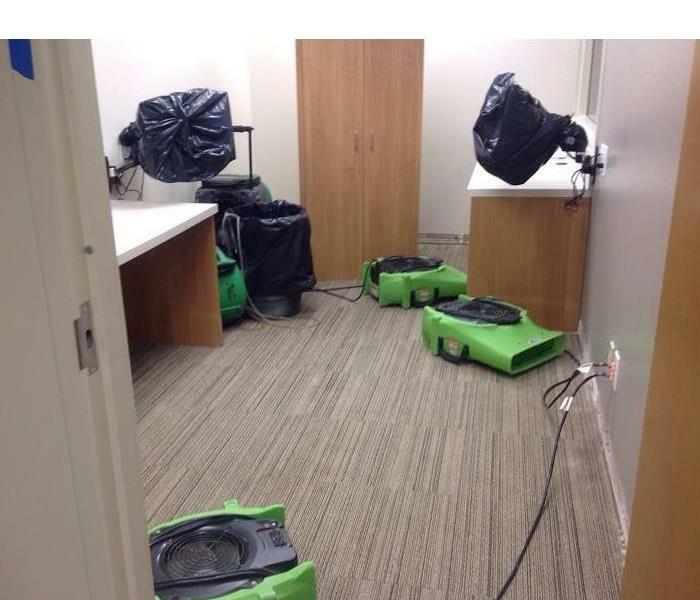 SERVPRO of Kenton County understands the importance of responding quickly when water damage strikes. We are locally owned and operated and are ready to help. Our goal is to make it "Like it never even happened." Not only are the SERVPRO of Kenton County technicians experts in Fire and Water Damage restoration, they can handle mold remediation as well. 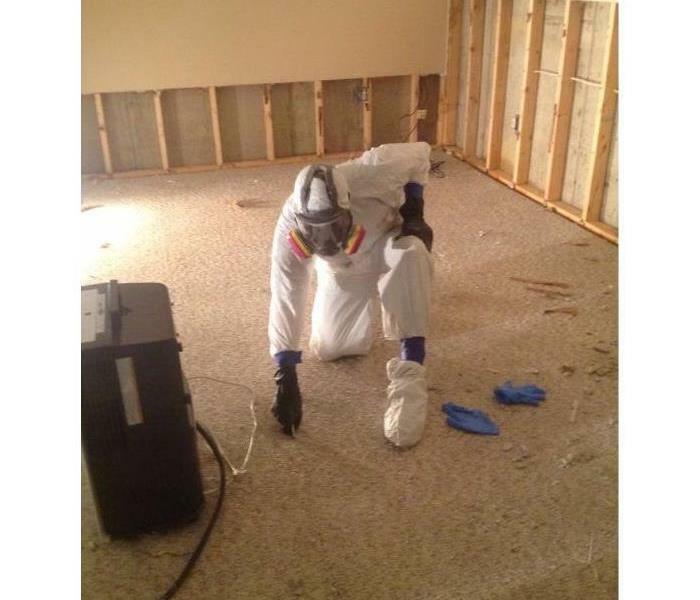 This photo shows one of our techs wearing protective gear while completing a mold cleanup project. Heavy storms in Independence, Kentucky resulted in damage at this home when a tree fell, leaving holes in the roof and water damage to the interior of the home. Before beginning work, the SERVPRO of Kenton County technicians protected the contents of the home by covering countertops and furniture. Our team welcomes any opportunity to learn and improve on our processes and how to better serve our customers. We know that we are only as good as our last job and always strive to improve! When storms and heavy rains in Independence, Kentucky caused flooding and water damage in this home, SERVPRO of Kenton County was here to help! 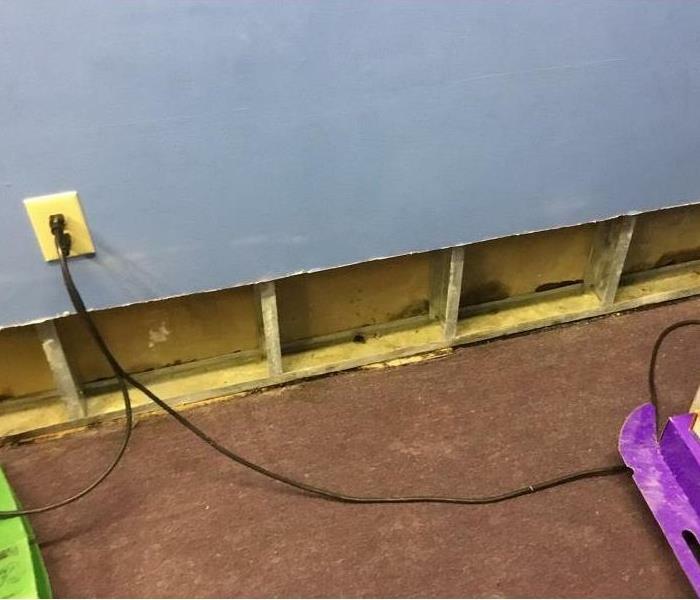 This photo shows an area of the home after the wet drywall, carpet, and padding were removed by our water technicians and the drying equipment was set up and working to complete the dry out process. A pipe burst in this home located in Erlanger, Kentucky and caused water damage to the finished basement. The basement was left with about 4 inches of standing water! This photo shows the SERVPRO of Kenton County water technician assessing the damage to the saturated carpet. When a fire occurs, the damage isn't limited to just the immediate area of the fire. Soot and smoke travel throughout the property leaving damage behind. This photo shows soot and smoke damage on the walls of a home after a fire. The SERVPRO of Kenton County water technicians are experts in the industry and understand what it takes to successfully complete a water restoration project. Following a water loss and during the restoration process, it is important to protect the contents of a property. This photo shows the valuable equipment in the building that the technicians carefully covered in order to prevent damage during the restoration process. SERVPRO of Kenton County is a 2018 Covington Business Excellence Award Finalist! We are proud to announce that SERVPRO of Kenton County was named one of 38 finalists in the 2018 Covington Business Excellence Recognition Program! 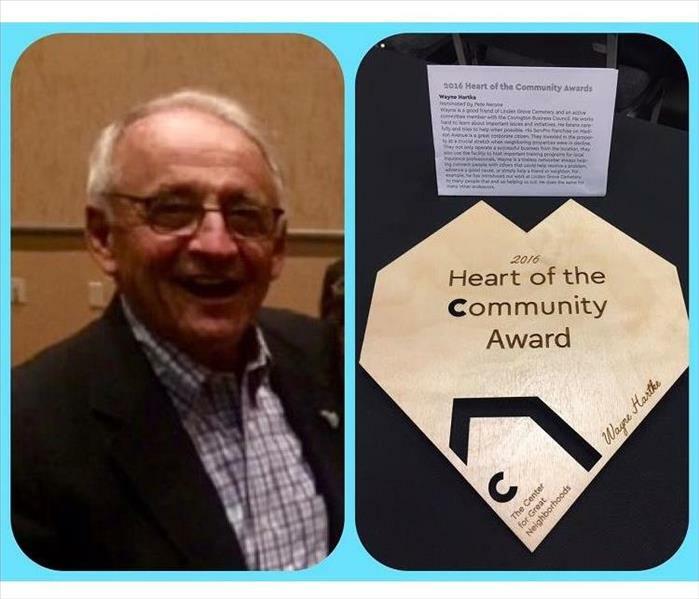 Out of 137 total nominations in 87 unique business categories, we are thrilled to be recognized in this elite group of excellent Covington businesses! When a water leak goes undetected for awhile mold can also become an issue. When moisture is present, mold can spread throughout the property in as little as 48 hours. 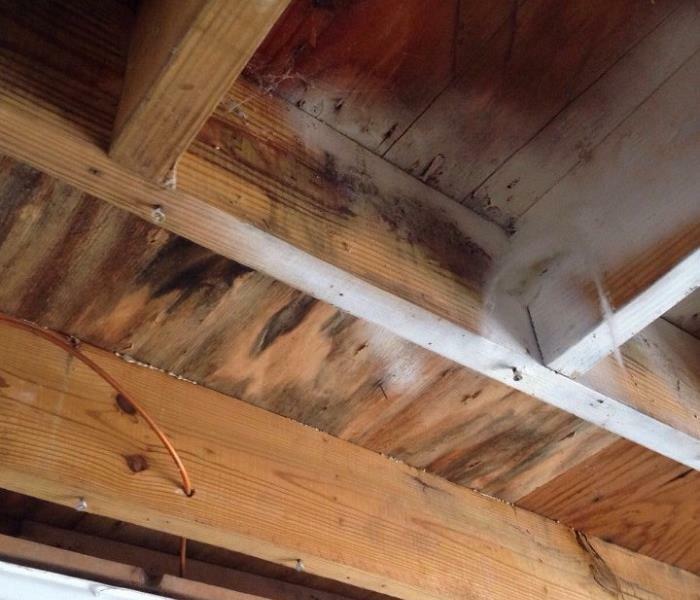 This photo shows the mold damage found in the ceiling of a home in Covington, Kentucky. 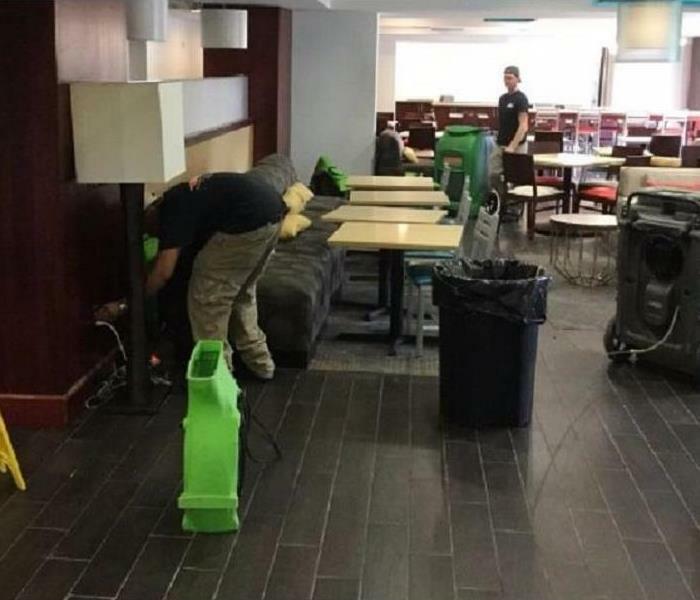 SERVPRO of Kenton County was called for water restoration services to a commercial property in Northern Kentucky after flooding in the building. Our crews responded quickly to mitigate the damage and get the business back up and running as quickly as possible. This photo shows the equipment in place in one of the larger hallways of the building. When a fire occurs in a home, the structure as well as the contents of the home can be affected by fire, smoke and water damage. The fire technicians at SERVPRO of Kenton County are trained in the special techniques it takes to clean and restore a property and its contents after a fire. 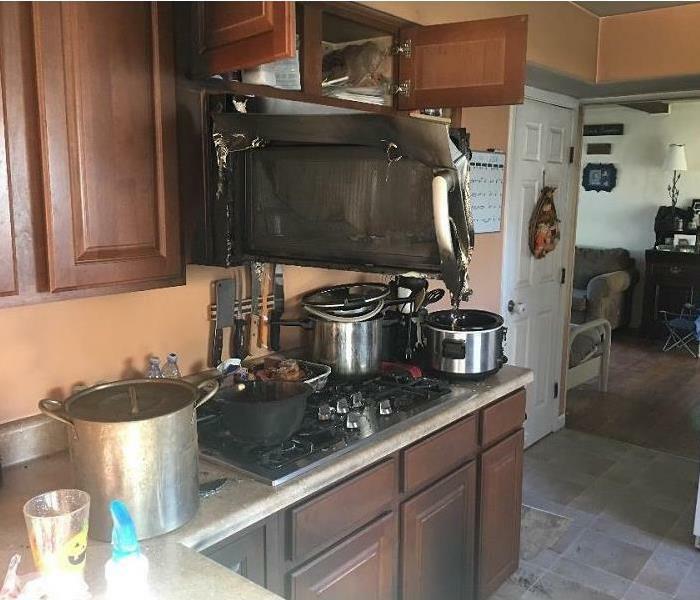 This photo shows the damage caused by a fire in the kitchen of a home. SERVPRO of Kenton County cleaned the contents and structure of the home after the fire. 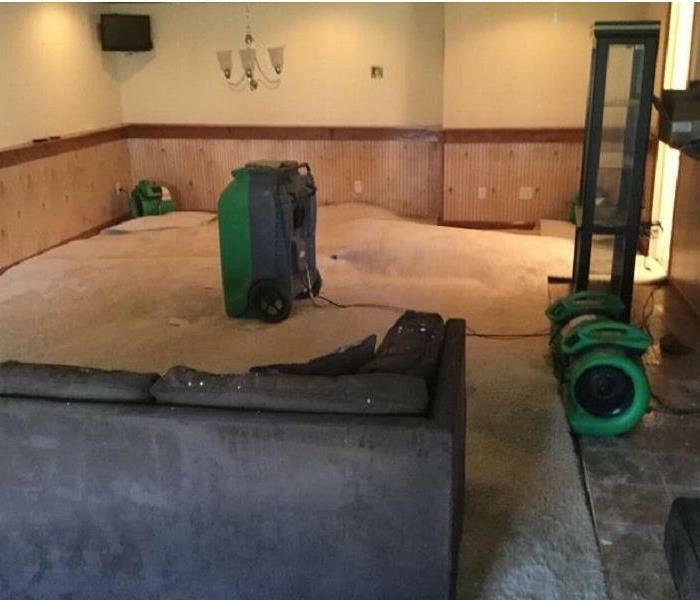 The SERVPRO of Kenton County water technicians have air movers and a dehumidifier set up and working hard to dry out this basement in Erlanger, Kentucky. Water invaded the basement and the carpet was saturated. 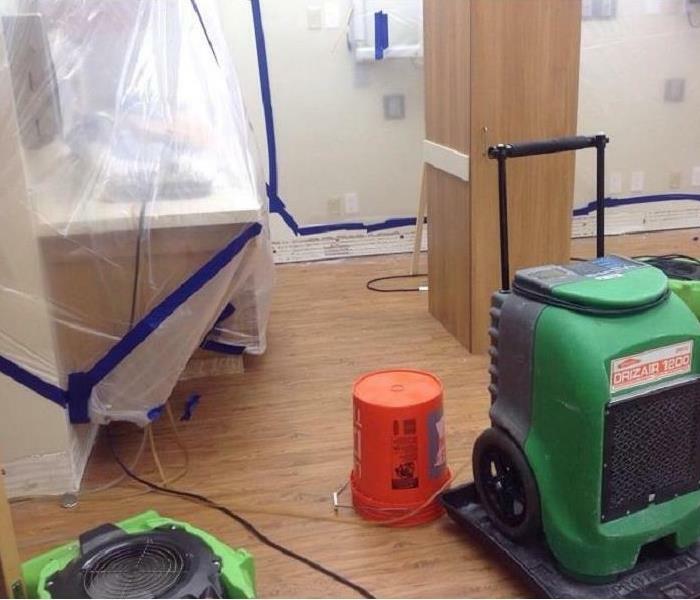 SERVPRO of Kenton County understands the importance of responding quickly to water damage situations at a commercial property. 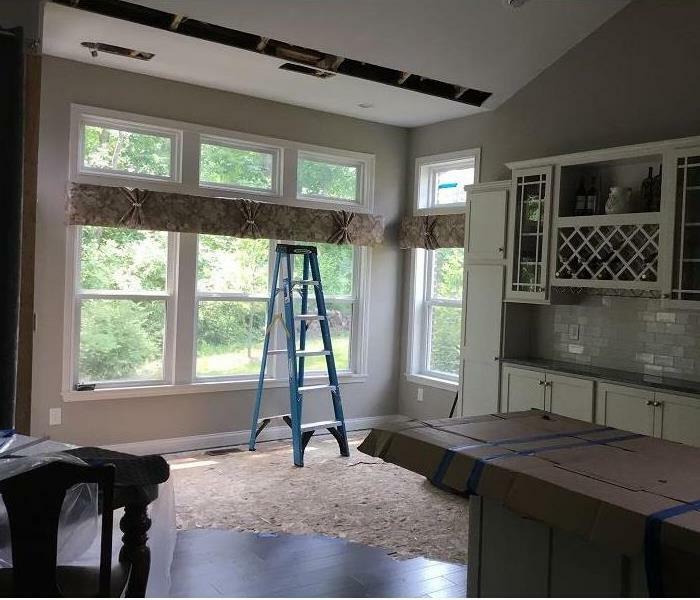 After extensive flooding at this property, SERVPRO of Kenton County was contacted and began the restoration process quickly! During the water restoration process at this Covington, Kentucky home, SERVPRO of Kenton County crews uncovered pre-existing mold. This was the result of previous water damage not being acted upon quickly and effectively. When there is flooding or other water intrusion in a home, mold can become a problem in as little as 48 hours. That is why it is important to act quickly after water damage and make sure that the dry out process is complete. 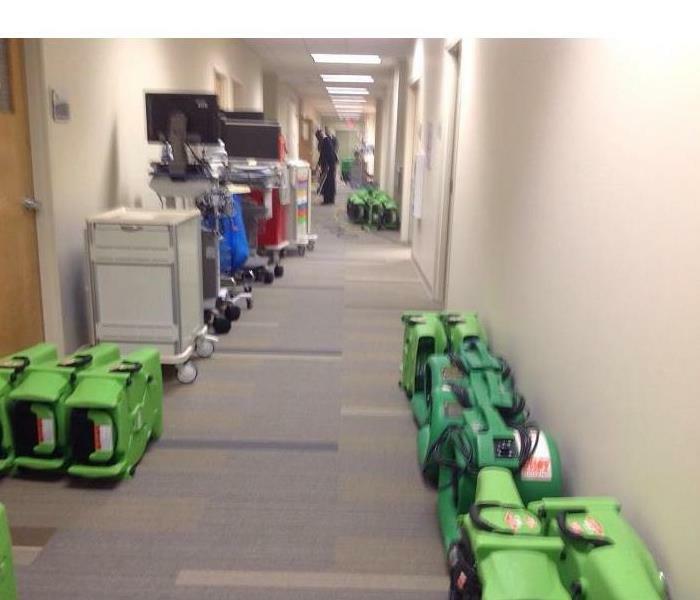 The SERVPRO of Kenton County water technicians responded quickly to the water damage event at this local hospital. They made sure that all the medical equipment in the facility was properly protected during the restoration process. 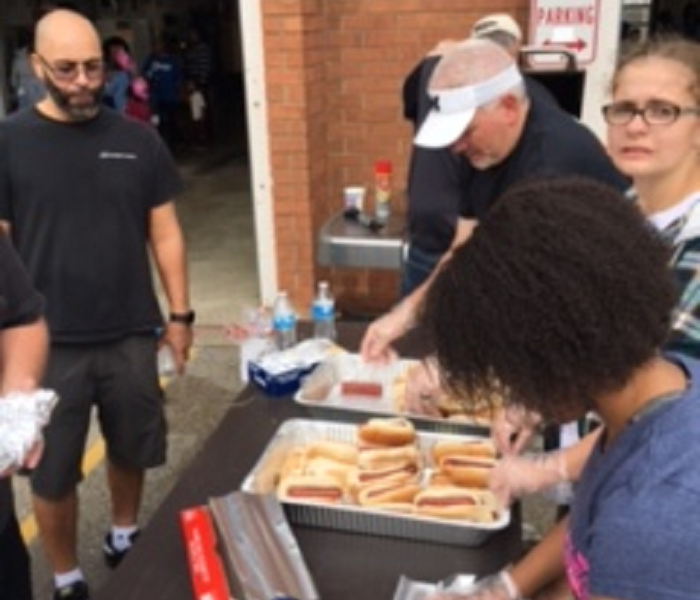 The SERVPRO of Kenton County staff had a great time participating in a Community Day to help bring fire safety awareness to residents in the area. It was a day full of fun with fire trucks, helicopters, fire demonstrations, crafts, food and more! A home fire is devastating to any homeowner. 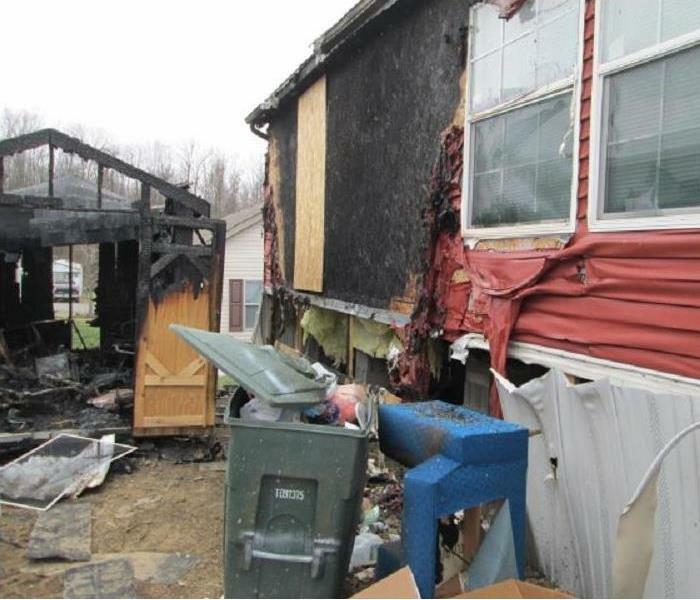 SERVPRO of Kenton County was called for fire restoration services after a fire that originated in the shed damaged this home near Independence, Kentucky. Our fire crews removed the contents of the home for cleaning and restoration. Equipment is Onsite and Ready to Go! An overflowing toilet resulted in a large water damage at this commercial property. 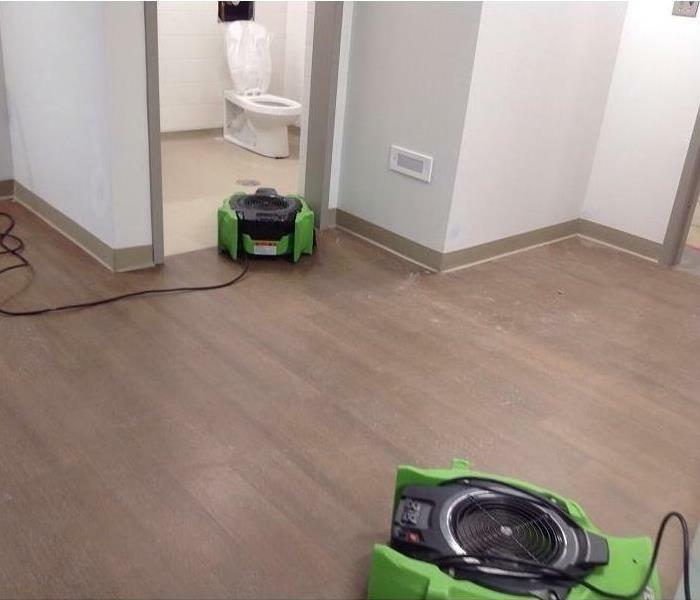 SERVPRO of Kenton County can handle a job of any size! This photo shows the drying equipment brought on-site and ready to be placed in the affected areas of the building. 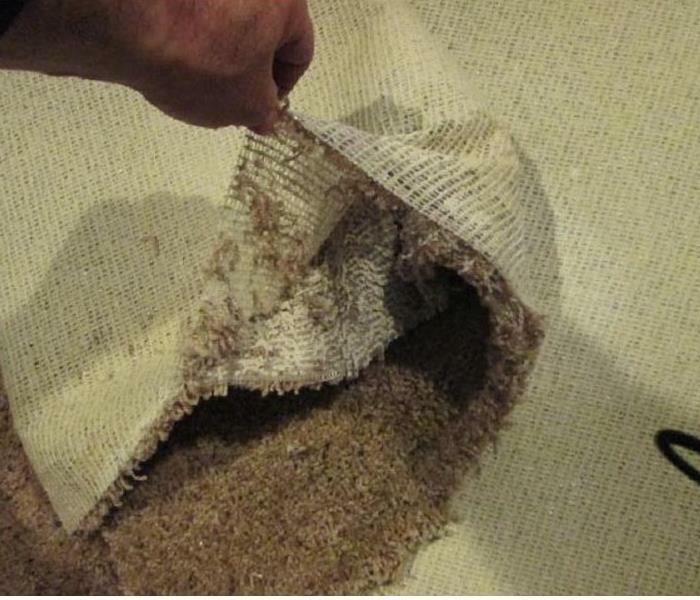 When heavy rains caused flooding in an Independence, Kentucky home, this area rug was saturated. SERVPRO of Kenton County to the rescue! This is a photo of the dry out in progress and now the rug is as good as new! Mold damage was found at this home in Fort Mitchell, Kentucky and SERVPRO of Kenton County was called for remediation services. Mold often occurs after a water leak and in this case, clogged gutters was the cause of the leak! 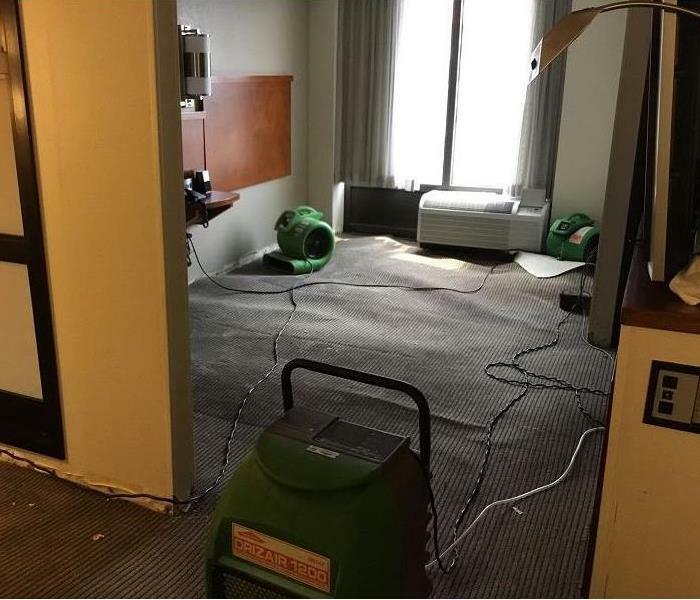 Two pipes burst at this Covington, Kentucky hotel and caused water damage on three floors of the hotel. SERVPRO of Kenton County water technicians are assessing the damage to the lobby area of the hotel so that mitigation can begin. 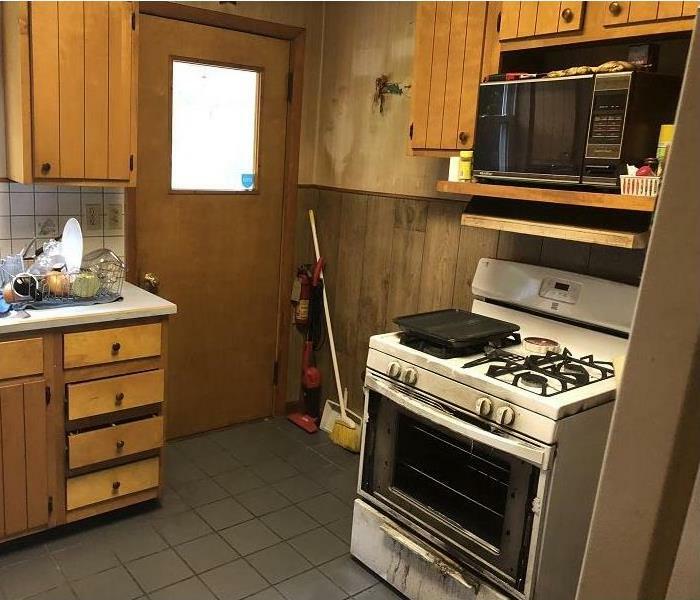 The kitchen of this condominium in Covington, Kentucky was damaged by water when there was a water leak in the unit above. 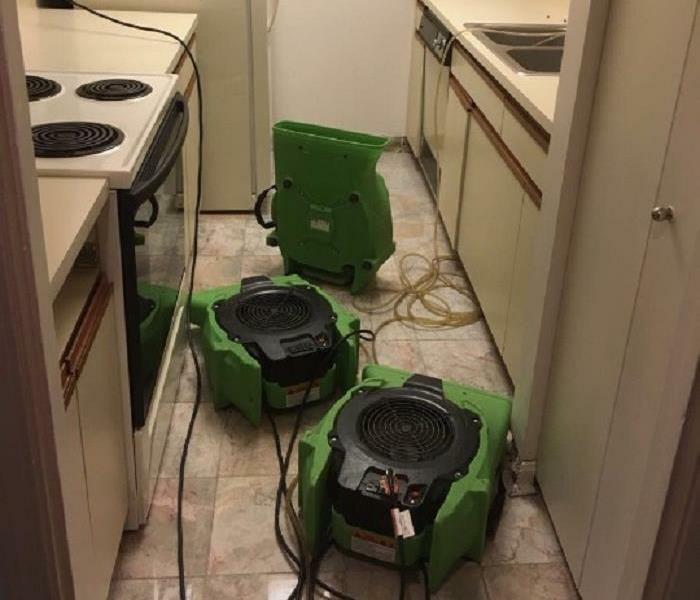 This photo shows the kitchen after the SERVPRO of Kenton County water crews set up the drying equipment in the area. A SERVPRO of Kenton County crew member is hard at work in this Elsmere, Kentucky home. Heavy storms and a failing sump pump resulted in a big mess in the basement! Not just the immediate area of the fire is damaged during a fire. Soot, smoke and dust can cause damage throughout the home as well. This photo shows the hallway of a home near Villa Hills, Kentucky that was damaged by fire. SERVPRO of Kenton County was called to clean the property. 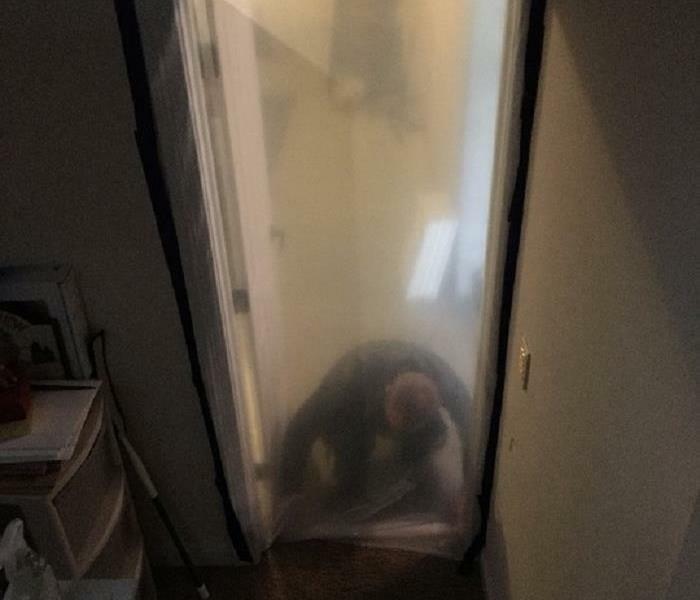 Containment is often necessary during mold remediation services in order to help prevent spreading. There was mold damage to this home in Covington, Kentucky. This photo shows our crew member putting up the containment barrier for the remediation process. Great Day at the SERVPRO Kentucky Conference! 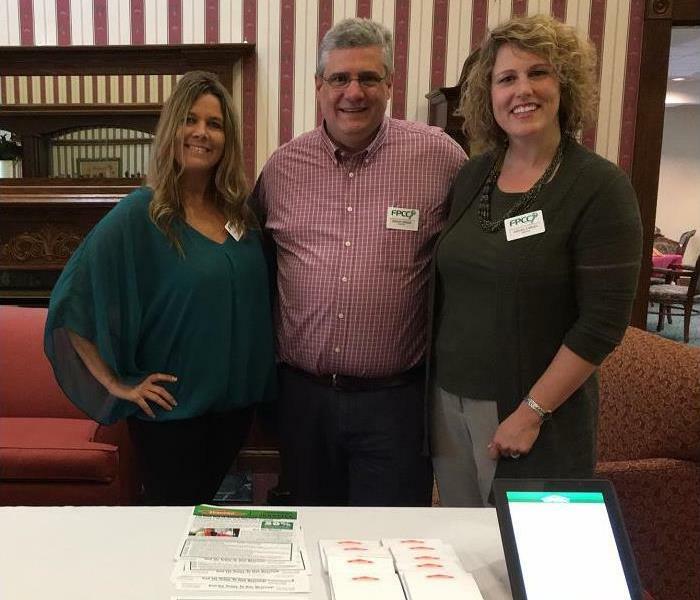 Our SERVPRO of Kenton County team recently attended the SERVPRO Kentucky Conference. It was a great day of training and planning. We always welcome any opportunity to learn and improve on what we do! We realize that we are only as good as our last job and are always striving to get better! 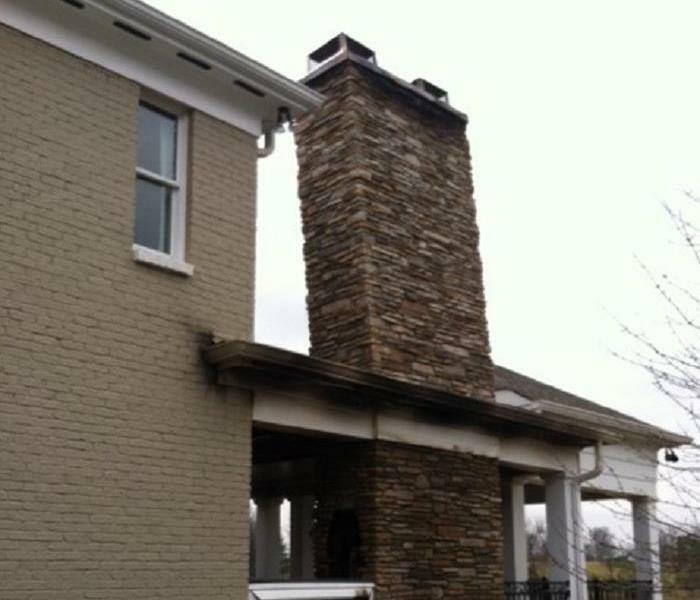 SERVPRO of Kenton County crews are working to remove the leaning chimney after a home fire in Crestview Hills, Kentucky. The electrical fire originated in an exterior outlet and affected both the exterior and interior of the home. An electrical fire damaged a home in Crestview Hills, Kentucky when a fire started due to a faulty outlet located on the exterior of the home. SERVPRO of Kenton County was called for emergency service to remove the chimney that was leaning and unstable after the fire. 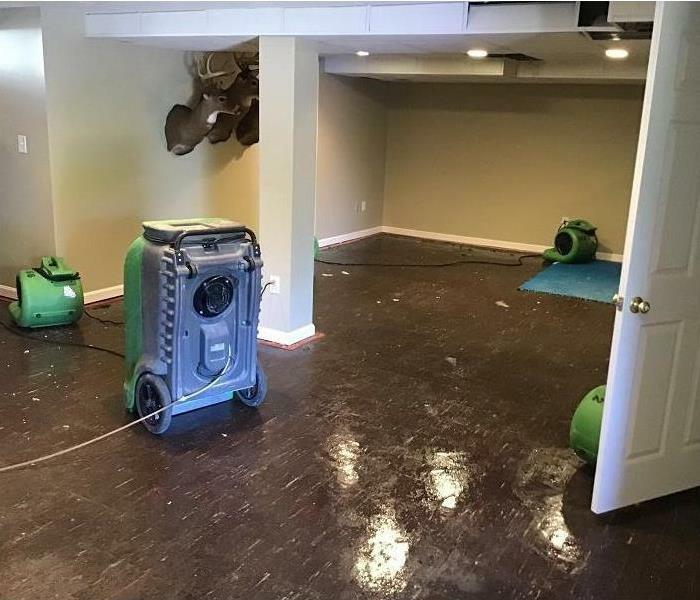 The SERVPRO of Kenton County water technicians have the dehumidifiers and air movers in place after this basement in Villa Hills, Kentucky flooded. Wet carpet, paneling, and baseboards were all removed and the equipment is working hard to eliminate the moisture! SERVPRO of Kenton County was ready for the after-hours emergency call that came when a blockage in the city street sewer system caused water to back up this drain in the basement of the Covington, Kentucky home. Water extraction and a thorough cleaning was needed! In as little as 48 hours, a minor mold issue can quickly spread through a home. That is exactly what happened in this Fort Mitchell, Kentucky home! Moisture from a leak in the attic led to a perfect environment for mold growth. Mold was found in several closets of the home. SERVPRO of Kenton County was there to help with expert mold remediation services! 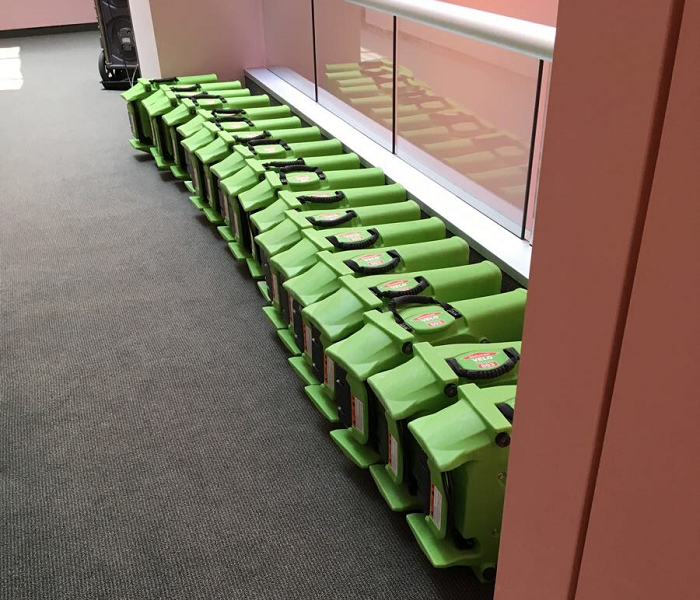 The SERVPRO of Kenton County water technicians understand the importance of protecting the contents of a property following a water loss. This photo shows the valuable equipment in this building covered by the technicians so that it is not damaged during the restoration process. Heavy storms sometimes cause flooded basements! The basement of this home in Independence, Kentucky needed dry out services following storms that hit the area. 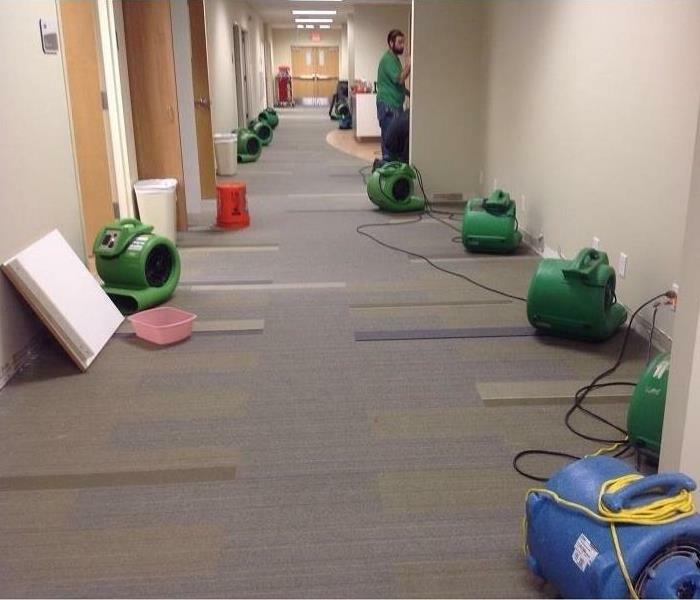 In this photo, the airmovers and dehumidifiers set up by the SERVPRO of Kenton County water technicians are seen in action drying out the affected property. Mold infestations can be caused by any water intrusion and can hide in unexpected places. 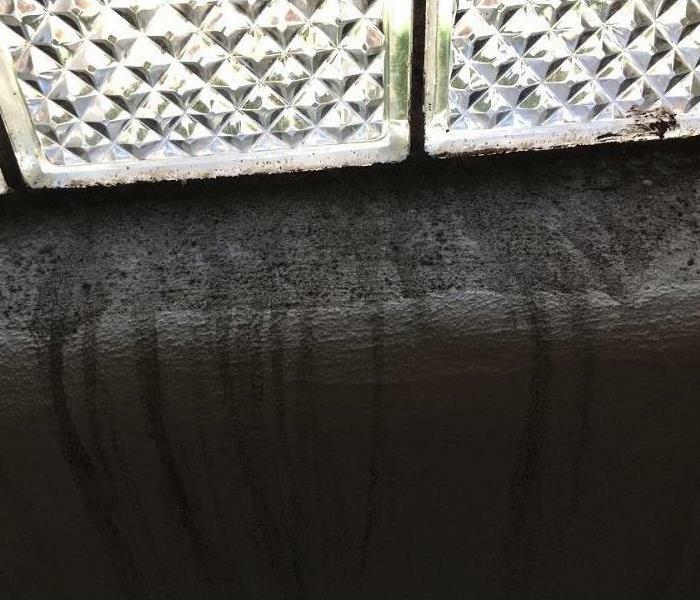 This photo shows mold found below an air conditioning unit at a commercial property that required mold remediation services by SERVPRO of Kenton County technicians. Many times heavy storms can lead to flooding and water damage to homes and businesses. 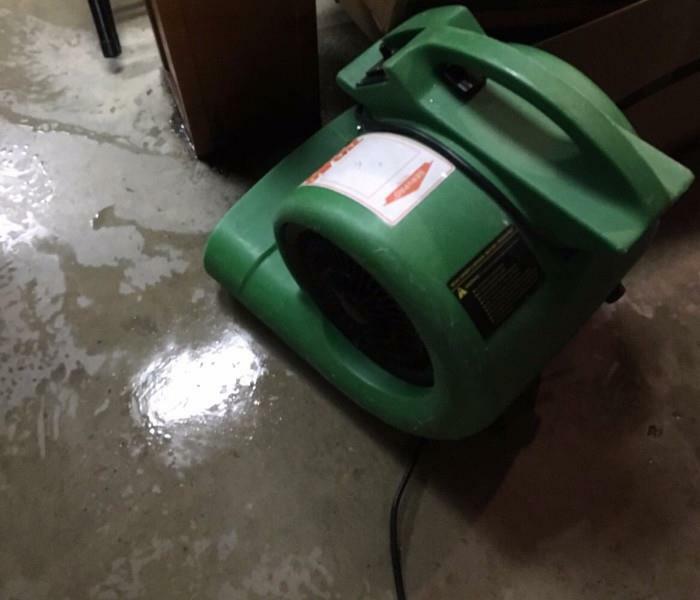 Storms in Covington, Kentucky caused water in this basement and SERVPRO of Kenton County was called for dry out services. Mold infestations can be caused by minor water intrusions, like a slow roof leak or loose plumbing fitting. 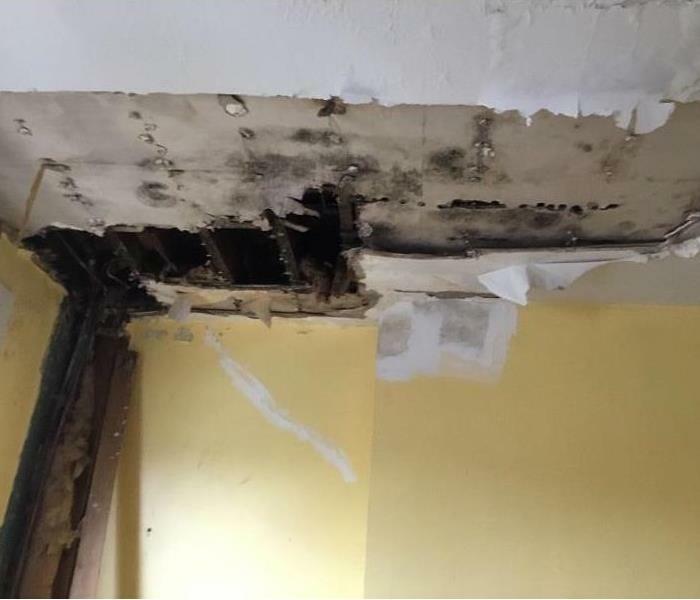 In this case, mold was found in the ceiling tiles and walls of this property and required the expert mold remediation services of our SERVPRO technicians. SERVPRO of Kenton County is proud to be a part of the national SERVPRO Disaster Recovery Team. This RV is used by the crews of SERVPRO of Kenton County. It acts as a mobilized command center to enable crews to relocate to the disaster site and operate from this mobile office. 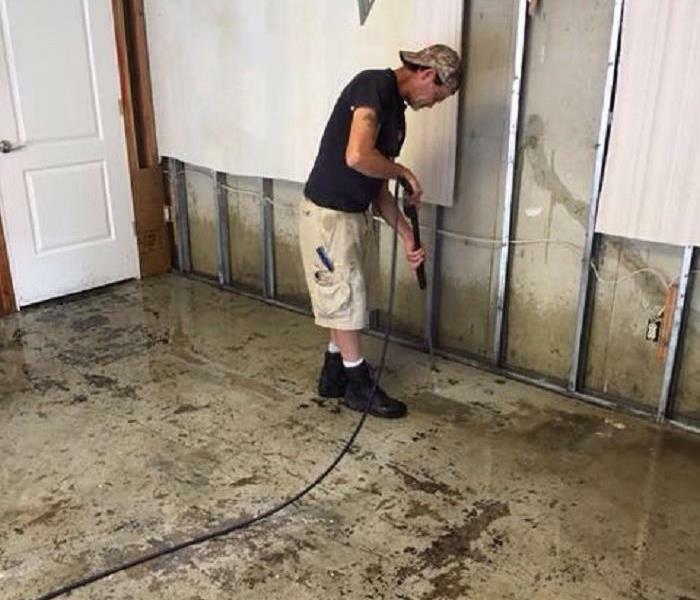 When this business in Erlanger, Kentucky suffered a large water loss, SERVPRO of Kenton County responded quickly to get the business back up and running. As can be seen in this photo, the water technicians took extra care to protect the valuable equipment in the building from being damaged as well. 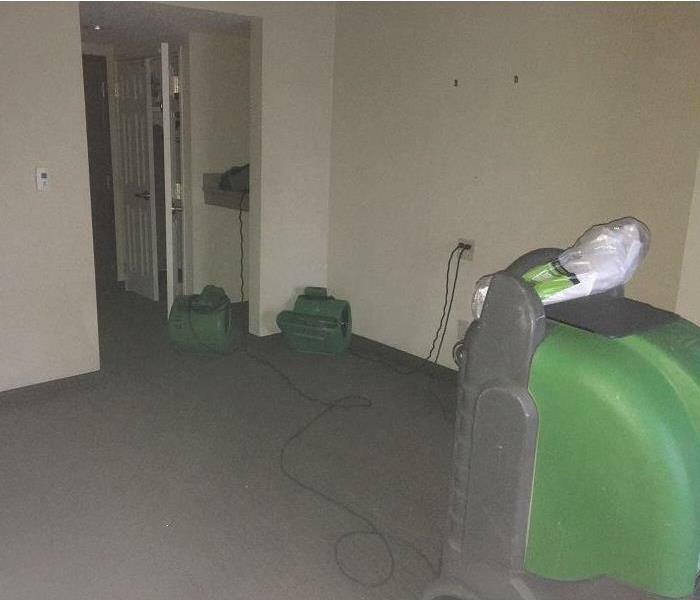 A commercial business building in Erlanger, Kentucky experienced water damage and SERVPRO of Kenton County was ready to help! The hallways, patient rooms, and large office area of the building were all affected. SERVPRO of Kenton County crews were called into action and worked tirelessly to get this business back to preloss condition. 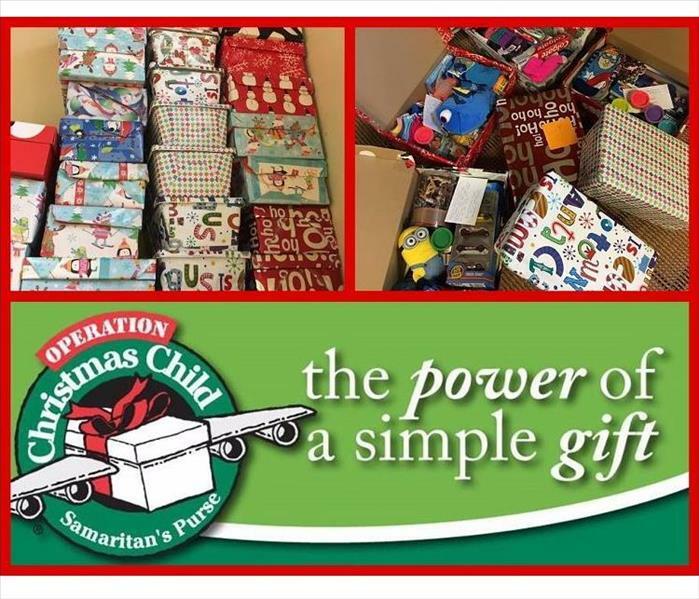 SERVPRO of Kenton County enjoyed participating in the Operation Christmas Child Ministry Project. For this project, employees prepared gift-filled shoeboxes to be delivered to children in need around the world. Boxes were filled with toys, clothes, candy, school supplies and much more with the hopes of bringing joy and hope to less fortunate children this holiday season. 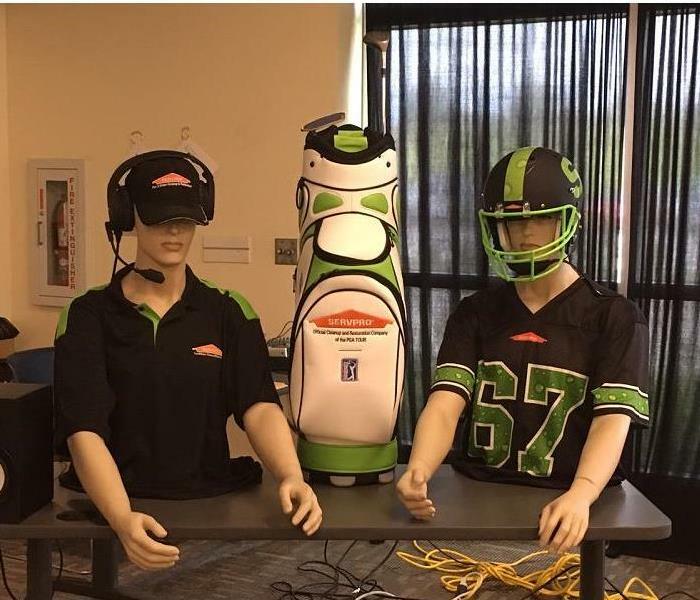 You just might find SERVPRO of Kenton County set up on the golf course next time you participate in a local golf outing! Be sure to stop by, meet our representatives, pick up some goodies and learn a little about SERVPRO! SERVPRO of Kenton County is a locally owned and operated business. We are a trusted leader in the restoration industry. We are experts in fire, water and mold remediation and restoration. We proudly serve our local communities of Independence, Covington, Elsmere, Edgewood, Crescent Springs, Taylor Mills, Fort Thomas, Newport, Fort Mitchell, and Alexandria. The SERVPRO annual convention was held in Las Vegas, Nevada in June. We are proud and excited to share that we were recognized as a Top Ten Performer in the SERVPRO System and achieved the Regency Club status. This is the highest level of honor in the SERVPRO system. Tim, our expert water technician, works meticulously to clean up a sewage back up situation. In this photo he is pressure washing the contaminated area. The area was sanitized, dried, and all contents moved back into place. 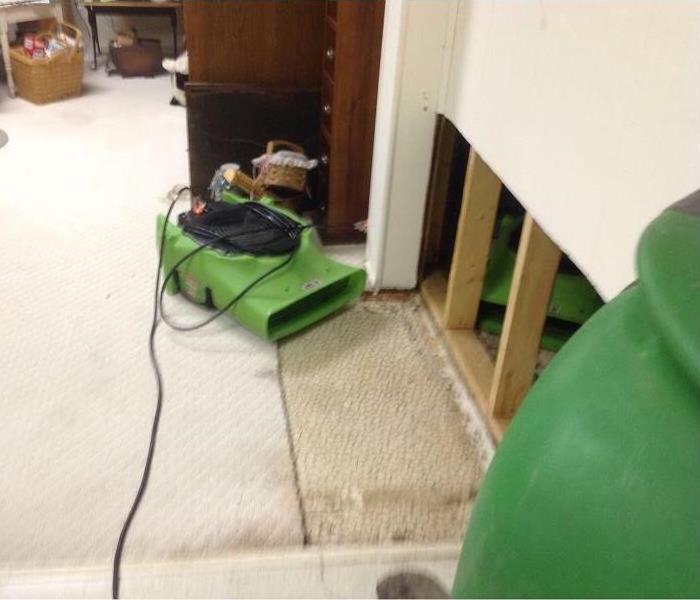 SERVPRO of Kenton County has the equipment and expertise to properly dry and restore carpets after water damage. This area rug was brought onsite to be put through the drying process by our SERVPRO professionals. SERVPRO of Kenton County provides emergency cleaning and restoration services 24 hours a day, 7 days a week, 365 days a year. A fire doesn't wait for business hours! Call (859) 261-2400 any time, day or night, and we are there to answer your call. If your home requires extensive restoration or cleaning due to fire damage, SERVPRO of Kenton County can conduct an organized, efficient move-out of the affected area. 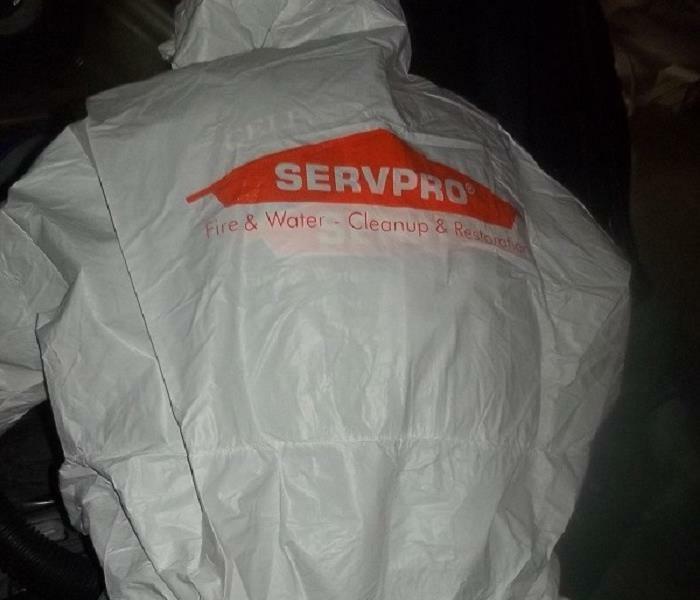 SERVPRO of Kenton County specializes in restoring contents damaged by water, fire, or mold. We pack contents and bring them onsite for thorough cleaning.